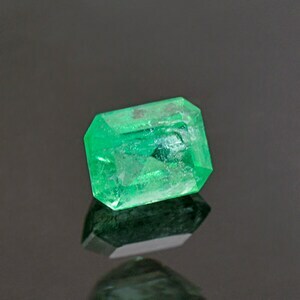 Nice Mint Green Emerald Gemstone from Colombia 0.76 cts. 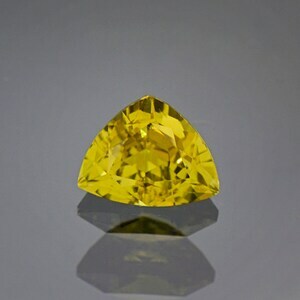 Size: 7.15 x 4.62 mm. 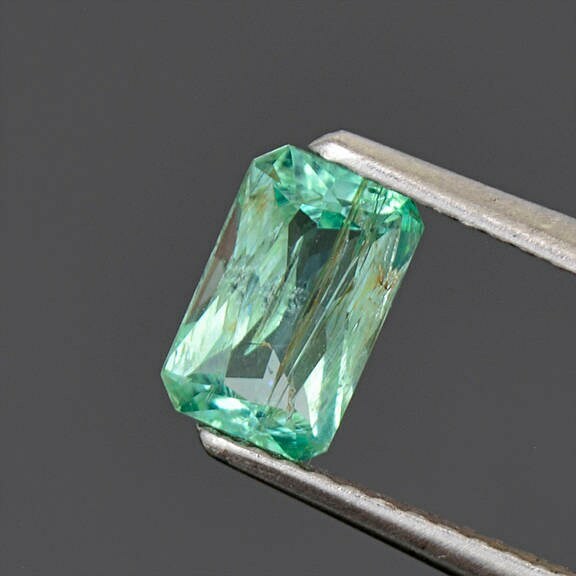 This beautiful gem came from the world’s best and largest producer of Emerald in the world, Colombia. 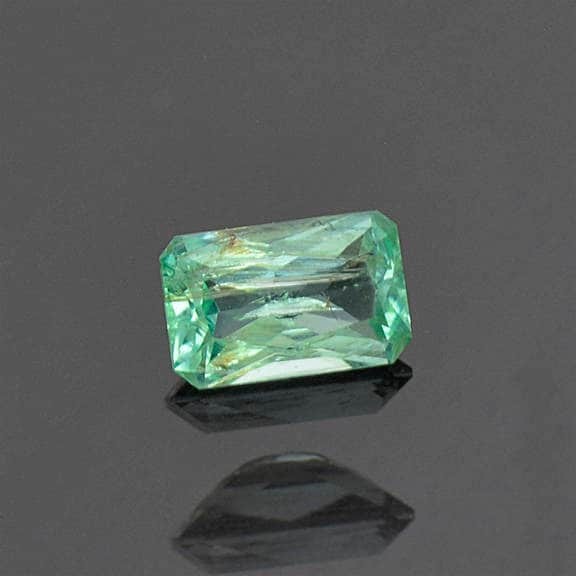 The cut is a radiant Emerald shape that brings out some beautiful glitter to this fantastic mint color material. The stone has a nice mint green color that is certainly eye catching. 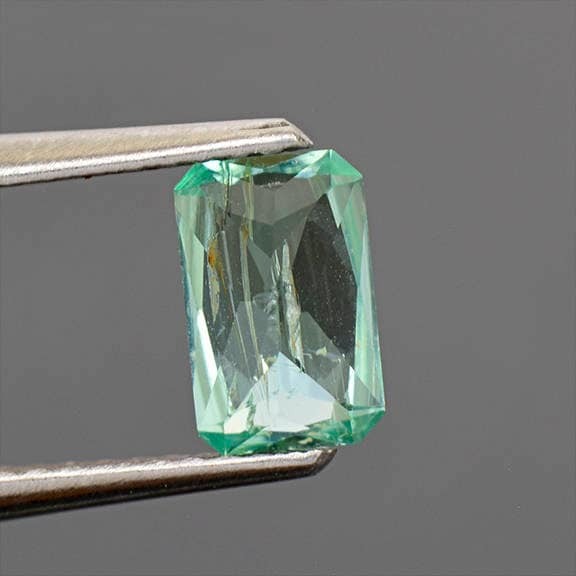 The clarity of this stone is quite good, especially for Emerald, which tends to be riddled with inclusions. 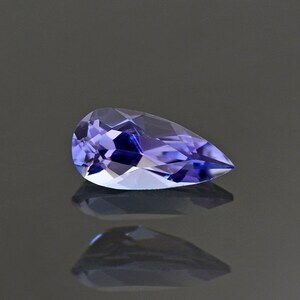 It will look lovely if set into jewelry, and would be excellent as the center stone of a ring. Enjoy! 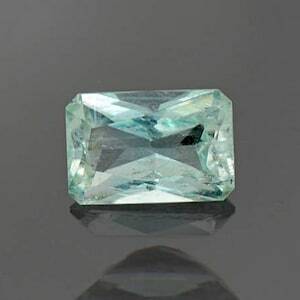 Beautiful Mint Green Emerald Gemstone from Colombia 0.97 cts.